Deborah Copenhaver-Fellows' art work was honored at the U.S Capitol on February 11th , 2015. 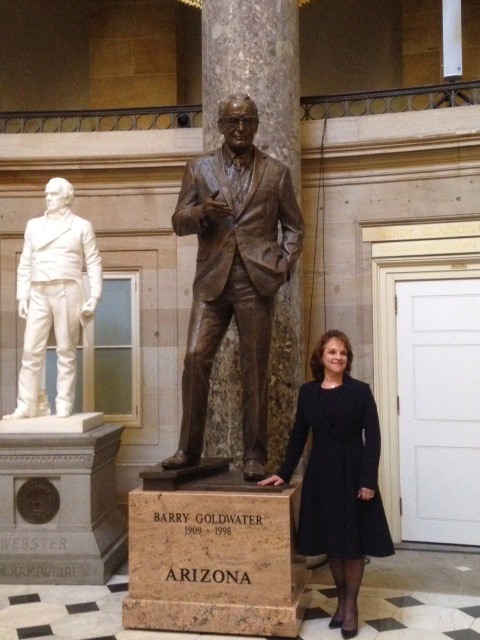 Her monumental sculpture of Barry Goldwater was dedicated in a Congressional Ceremony in Statuary Hall. Dignitaries included Senator John McCain, Senator Harry Reid, Representative Nancy Pelosi, Senator Mitch McConnell and Representative John Boehner. Fellows was commissioned by the State of Arizona to create one of two monuments in Statuary Hall honoring a "Son of Arizona". Barry Goldwater was known as Mr. Conservative in U.S. politics.